It began with yellow envelopes. Magazines and publishers all requested the inclusion of a Stamped-Self-Addressed Envelope with any submission. Mine were the yellow sort. I’d scrawl my name and address across the front of them in my ungainly hand, stick on the appropriate postage, and then fold the envelope and paperclip it to my cover letter. Whenever one of these envelopes reappeared stuffed into my mailbox, there’d be anticipation. As I approached, there was nothing but possibilities: an acceptance, a book deal, validation for writing. Then, what the hell, throw in fame and fortune. There was no dream – as naïve and misguided as they were – that was unimaginable. Tearing open the envelope I’d find my creased submission (the postman would fold it vertically, so it could fit into my mailbox) and a form rejection letter: ‘We appreciate your submission … but regret to inform you it’s not right for us … all the best in the future.’ Accompanied by the evaporation of dreams. You’d think the form responses were about as bad as you could get. Nope. Some form responses are generic. They’d just have to print it out, stick it in the envelope, and it would cover any author and any submission, since the rejection itself refers to neither. Some, however, used a template where whoever was doing the rejecting had to fill in the submitter’s name, as well as the name of their submission. I was once called ‘Leo’ on a form rejection. Leo, damnit. That was an added kick in the nuts. I’d catalogue responses, too. 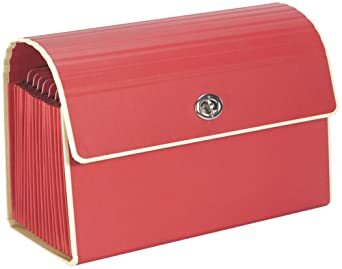 I had a red accordion folder, which I kept in the little filing cabinet that sits by my desk. Whenever I got a response, I’d file it away. The bulk were rejections. Occasionally, I got a positive rejection, where the rejecter took the time to personally address me, maybe tell me something encouraging. One American editor once said, ‘There’s some really good writing in here.’ Smiley face. In a grimacing way. There were a handful of acceptances. But the rejections were the thing. You can brace yourself, years of rejections can callous you, but the blow always gets through. Then come the doubts: maybe I’m not good enough; maybe I’m not writing things people want to read; maybe I’ll never make it; maybe it’s not worth it; maybe I’ll NEVER be good enough. Cue threats of tossing in writing and taking up something more practical – maybe janitorial work. As time wore on, cold pragmatism replaced hopefulness. Once that dreaded yellow envelope appeared in the mailbox, logic took over: if they were accepting my submission, they wouldn’t be returning it. They’d get in touch with a simple letter, or a phone call. They wouldn’t be returning the exact same package you sent out. Then as email ingratiated its way into our lifestyles, publishers and journals began accepting submissions electronically. That was much more convenient for a writer, not to mention more cost effective. There was no need to worry about printing costs, paper, postage costs, return postage costs – the whole rigmarole. The only thing that stayed the same was the rejection. Rejection is universal. An email would appear in my inbox. I’d stare at it. You couldn’t gauge from an unopened email what it might contain the way you could from the return of your Stamped Self-Addressed Envelope. Thus the email sat there, bold and enticing, like a treat hanging over a bear trap. The same feelings would arise. Anticipation. Optimism. The talk show circuit, beginning with Oprah. Trying to put a roadblock in front of it all was impossible because hope – no matter how faint – isn’t something you can (or should) brake. But then…click. The same words. I’d print them out, file them in my accordion folder, and also file the email away in neat folders in my mailbox, then go through the same disappointment. It’s astonishing that as technology has evolved, as we’ve gone from mail to email, the rejections have largely remained the same. I wonder who wrote the first form rejection, that everybody felt it was the perfect template to smash the hopes of aspiring writers. Not that’s what they’re intending (or at least I’d hope not). But that’s what happens. It’s inevitable. There is one journal that has a quirky form rejection that strives for this offbeat conversational tone which is meant to be conciliatory, but is instead amazingly, crushingly condescending. I thought it was just me, but I’ve spoken to others who feel the same. And yet this rejection keeps making its way into the world. I want to tell the journal, but fear they’ll feel I’m just being bitter – and I’m not. It’s just not a nice rejection (if there can be such a thing), although I’m sure when they sat around their conference table discussing it they probably thought it was endearing. Inevitably, I began working for a journal and was ironically assigned the responsibility of rejecting. I didn’t think anything of it. The journal wanted to personalise rejections, which is a noble enterprise, but became unrealistic. There were just too many submissions to individually address. Some still got it, but logistically (and sadly) it was impossible to write one to everybody. I thought when it came to rejecting, I could just paste the rejection into the email, send it out, and that’d be it. It didn’t work that way. Dread filled me. Somebody had sent this story to be read with the hope that it would be accepted and published, that it would be a stone in the foundation of their career as a writer. I was the wrecking ball. The handful of acceptances that were sent out comparatively did nothing to mitigate that ill-feeling. As soon as I could I handed off that duty, but would ask my successors how they felt when they were issuing rejections – not a lot. Maybe it was just me. Maybe they were sociopathic – damn editors, assistant editors, and slush pile readers. It was likely, surely. Everywhere, there seemed to be rejections. My accordion folder, once so lean and hungry, was now fat and wheezing – well, it seemed to be, whenever I opened my drawer, and there it would sit, ready to gorge on my next disappointment, it’s flap askew like a condescending smile. 'Hey, feed me', it might’ve said. It had become a depository of failure. One day, I got three rejections through email in the space of an hour. That’s like being attacked, then being mugged by somebody else while laying prone, then the ambulance taking you to hospital crashing into a telephone pole. That was it. I’d had enough. I picked up the accordion folder, went outside, stood over the recycle bin, and tore up every single rejection the folder contained. There were hundreds upon hundreds. A handful of positive rejections and acceptances were also lost, but it was a small price to pay. The accordion folder went into the bin after them. Sadly, it was irredeemable. Next I deleted the email rejections I’d filed. 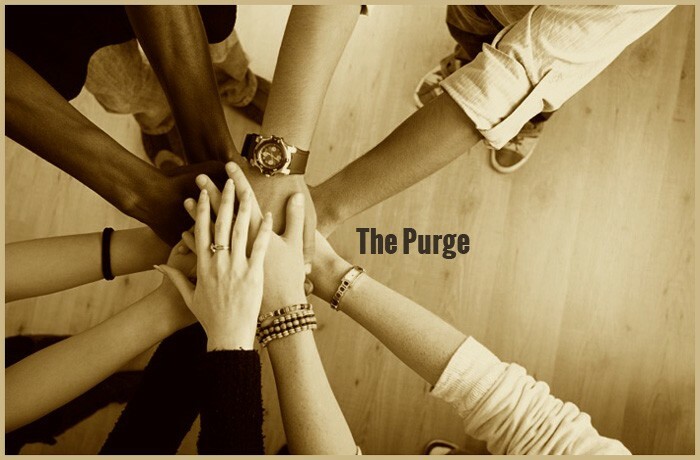 It was a purge that was educational. Rejection’s part of any writer’s life. Nobody escapes it. But there’s no point holding onto it. Shred. Trash. Revise, if necessary. Then resubmit.